Inlaws & Outlaws is popping up all over for theatre and community screenings timed to celebrate Pride Month. On June 19th, we've got our first screening in Colorado at the historic Rialto Theatre in Loveland. Check it out here. Also on the 19th, you can see the film in Cleveland, Ohio at the Pilgrim UCC. On Bainbridge Island, the Lynwood Theater hosts the film Friday through Sunday, June 13-15th. These screenings are sponsored by Cedars UU Church. On Vashon Island, the Vashon Theatre is presenting the film June 15-17, Sunday through Tuesday. 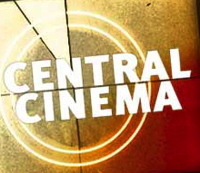 Central Cinema in Seattle has three shows June 22 and 23. It's the only theatre in town where you can have a pizza, enjoy a pint or some wine and see a great indie film. Plus, it's just $5. In Columbus, Indiana, the Columbus GSA and Inclusive Community Coalition are hosting a screening June 25 at the Bartholomew Public Library -- with a discussion to follow. And in Des Moines, Washington, the Saltwater Church hosts a free screening on June 29th.